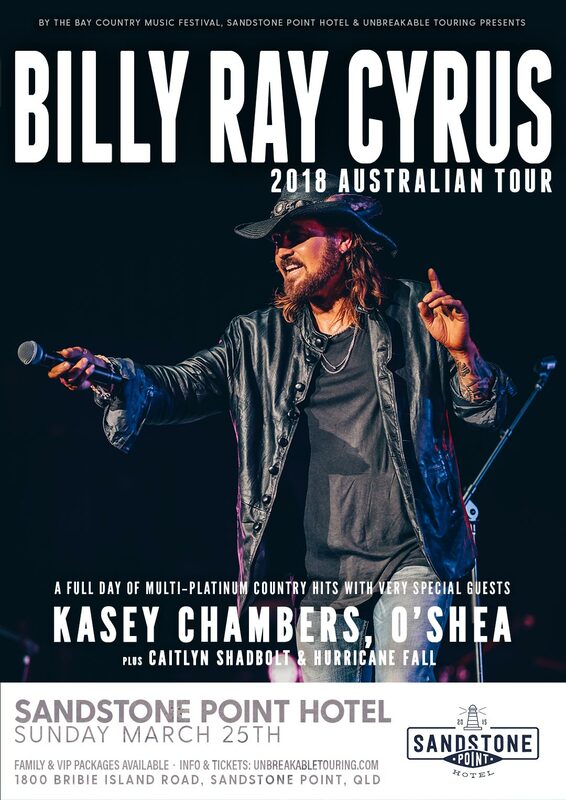 Multi award winning, critically acclaimed country and blues artist Billy Ray Cyrus has today announced his first Australian headline shows in over 18 years. 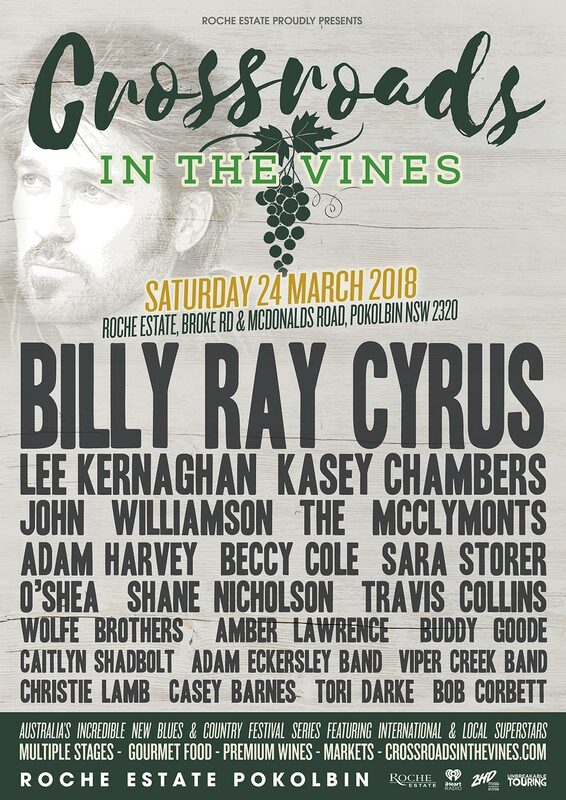 Having recently been booked to headline Australia’s newest outdoor music festival “Crossroads In The Vines” in the Hunter Valley in March 2018, Billy Ray Cyrus will now extend his tour to both Brisbane’s Sandstone Point Outdoor arena and Melbourne’s famous Palms at the Crown Casino. 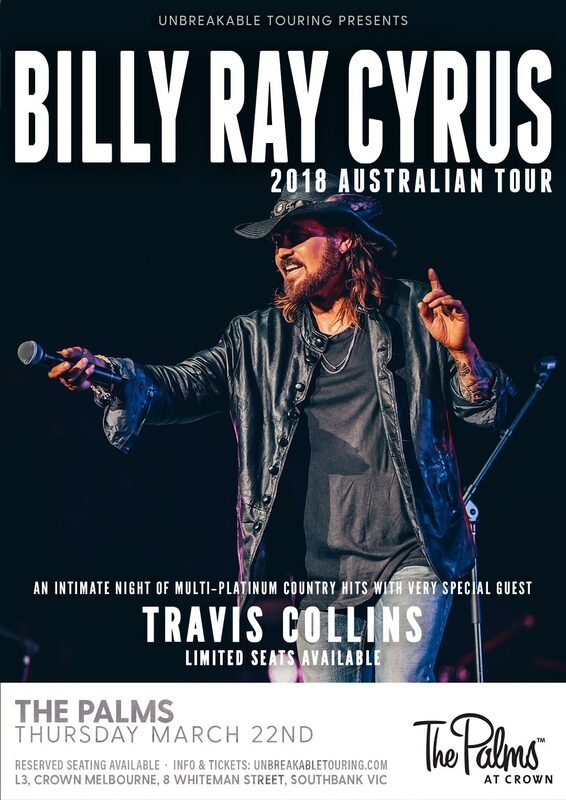 A full night of country music hits awaits fans, who can also catch very special guests Kasey Chambers, O’Shea, Caitlyn Shadbolt and Hurricane Fall supporting in Brisbane, and the brilliant Travis Collins as Billy Ray’s special guest performer in Melbourne. “I love the fans there. They love their music, they love their football and they love the arts. It’s a great country with great people and we love coming down there and playing” said Billy Ray Cyrus, who will be hitting Australia almost 25 years to the day, after kicking off his world tour in Australia in March, 1993. The country music legend, best known for his global hit ‘Achy Breaky Heart’, was the first artist in history to achieve triple Platinum status for a single in Australia, in the same year as reaching the highest selling single of the year and releasing the debut album that started it all ‘Some Gave All’. Since 1992, Cyrus has released 12 studio albums (9 of which have gone multi-platinum), eight top ten singles and still holds the record for longest time spent by a debut artist at number one on the Billboard Charts. Ahead of his Australian tour, Billy Ray Cyrus will release his brand new album “Thin Line”.